The Mariners are on a roll, and thanks to mistakes by the Angels, they won in spite of themselves last night. 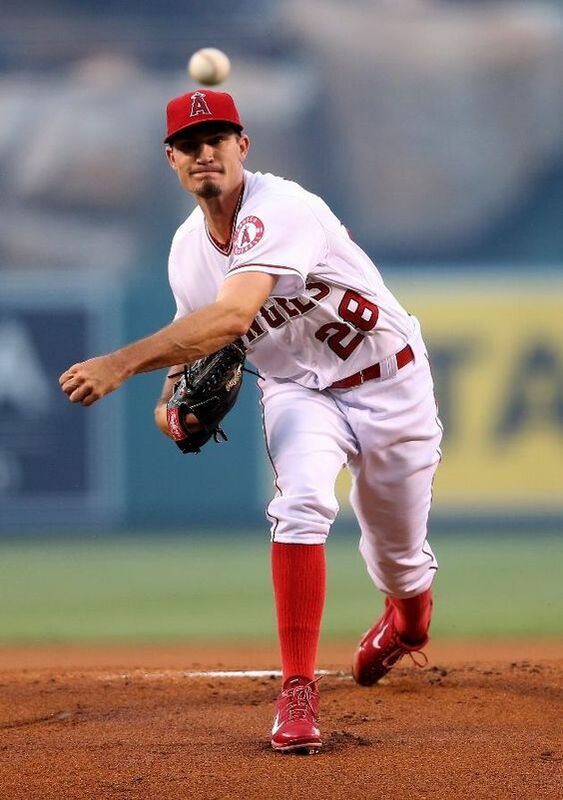 The Angels were a -8.83 VMI yesterday which is approximately an inch too low - bodily setup (caused by recent exposure) to be very good against the four-seam fastball. Seattle's Bull-Pen took advantage, even though Wade LeBlanc flirted with disaster by throwing 25 two-seamers and got hit extremely hard on that pitch. 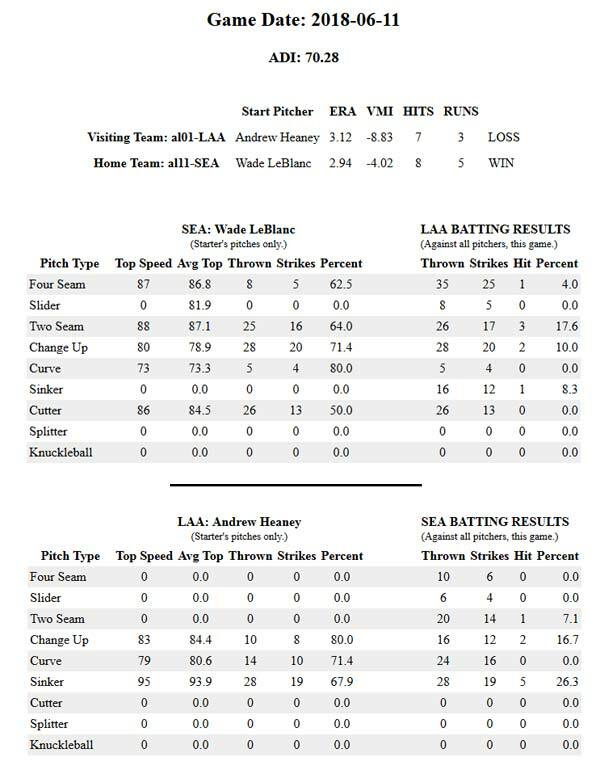 LeBlanc threw an effective cutter and got by enough hitters to help Seattle to a win.